Consult the USGAA New Club Plan – This document outlines a development pathway for new USGAA clubs, along with the assistance (financial and otherwise) that can be provided by USGAA. Choose a name – Think about this as it is important to your club identity and marketing. If you are the first club in a city e.g. Las Vegas, by all means use Las Vegas in your club name. However, in a city with multiple clubs try to identify with a locale to bolster local support e.g. instead of San Francisco, use Daly City. Lastly, there are far too many ‘Gaels’ around. Be original, choose something that resonates with the audience you want to attract and can use in your branding or choose no suffix at all if easier. Daly City Hurling Club or Daly City Danger is a better choice than San Francisco Gaels. 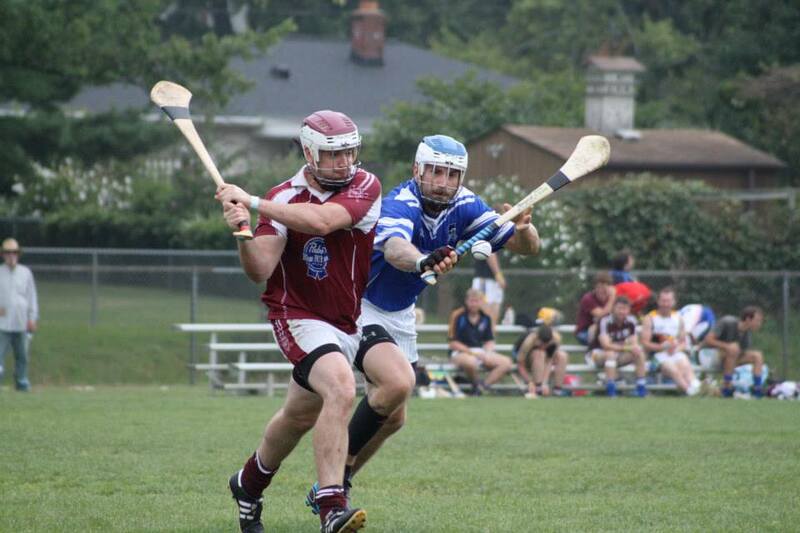 Make contact with us by contacting the national secretary at: secretary.usa@gaa.ie. The secretary will assist with getting your club aligned with the correct division and the contacts for that division, as well as information about registration. Make contact with the Public Relations Officer at: pro.usa@gaa.ie. The PRO will be able to assist you in developing promotional materials and possibly connect you with a local GAA club that can assist you in your endeavors to establish a club. Have an official GAA e-mail account set-up for your club. Contact the USGAA secretary to complete this. Create business cards which include a contact name, phone number, e-mail address, and web site—a sample two-sided business card is included below. Create a brochure which explains both your club and the sport (see sample attached) and distribute this to local Irish organizations, local sports clubs, colleges, and at any event such as a local Irish festival, St. Patrick’s Day parade, etc. Once you have recruited players/members, organize a committee to run your club. Create the following positions: chair, vice chair, secretary, treasurer, registrar, PRO, and youth development officer. This group will act as your board of officers and help to organize fundraisers, club events, training sessions, etc. Be sure to accept anyone who is willing to volunteer their time, even if they are not an officer and it is advisable to create a committee of volunteers to organize fundraising/sponsorship and recruitment. Needs: field for training and playing games, limited liability insurance (most towns/cities require this for use of fields), club bank account, playing/training equipment, sponsor, and jerseys. Name of club, address/location of club, contact person & details. Games: It is the responsibility of each division to provide an adequate amount of games for every club during the course of the playing season. Clubs are encouraged to work with their divisional boards to ensure they are getting enough matches prior to the staging of the USGAA Playoffs. USGAA Finals: The Finals are the national championships of the USGAA. Teams earn a spot in the Finals by playing in their divisional championship during the summer and securing a divisional championship within their respective code/grade/level. The USGAA Finals alternate between various cities throughout the country, and the 2019 Finals will take place in Leesburg, Virginia. Sponsorship/Fundraising/PR: Please refer to the club checklist for advice on securing sponsorship and fundraising ideas. Furthermore, tips for promoting the GAA can also be found in this document located at the top of this page. Registration Info: Everything you need to know about registering/transferring/important dates etc.